When Queen Elizabeth was excommunicated by the pope in 1570, she found herself in an awkward predicament. Now England's key markets would be closed to her Protestant merchants. To complicate matters the staunchly Catholic king of Spain was determined to destroy her, bolstered by the gold pouring in from the New World. In a bold decision with far-reaching consequences, Elizabeth set her sights on the East. She sent an emissary to the shah of Iran, wooed the king of Morocco, trading gunpowder for sugar, and entered into an unprecedented alliance with the powerful Ottoman Sultan Murad III. This marked the beginning of an extraordinary alignment with Muslim powers and of economic and political exchanges with the Islamic world of a depth not again experienced until the modern age. Londoners were gripped with a passion for the Orient. 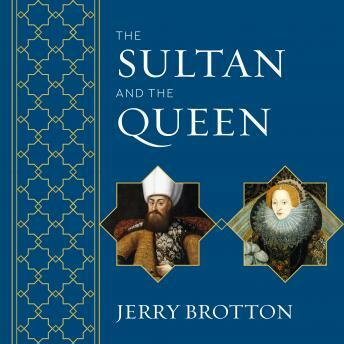 In this groundbreaking book, Jerry Brotton reveals that Elizabethan England's relationship with the Muslim world was far more amicable-and far more extensive-than we have ever appreciated as he tells the riveting story of the businessmen and adventurers who first went east to make their fortunes.